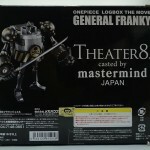 LOGBOX THE MOVE General Franky casted by mastermind Japan. 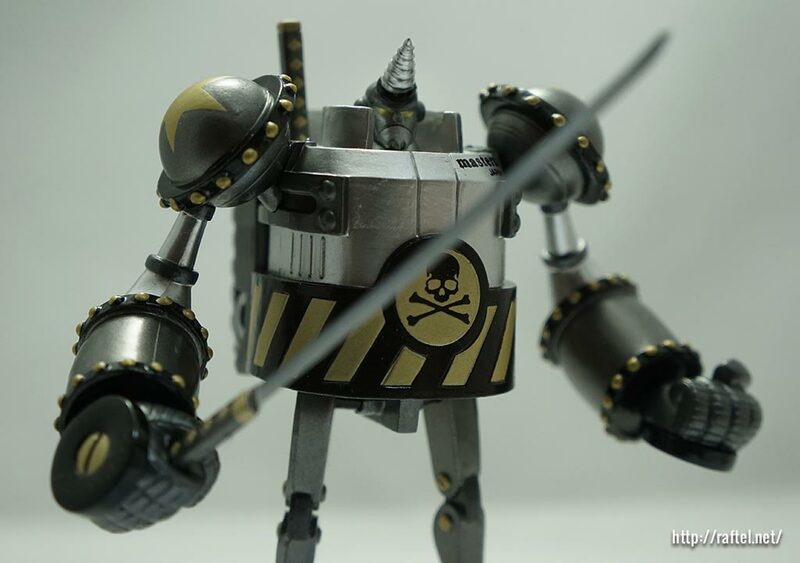 This limited edition figure was sold in March 2013 through the BEAMS clothing shop and website, as a collaboration between One Piece and mastermind Japan (clothing brand) . 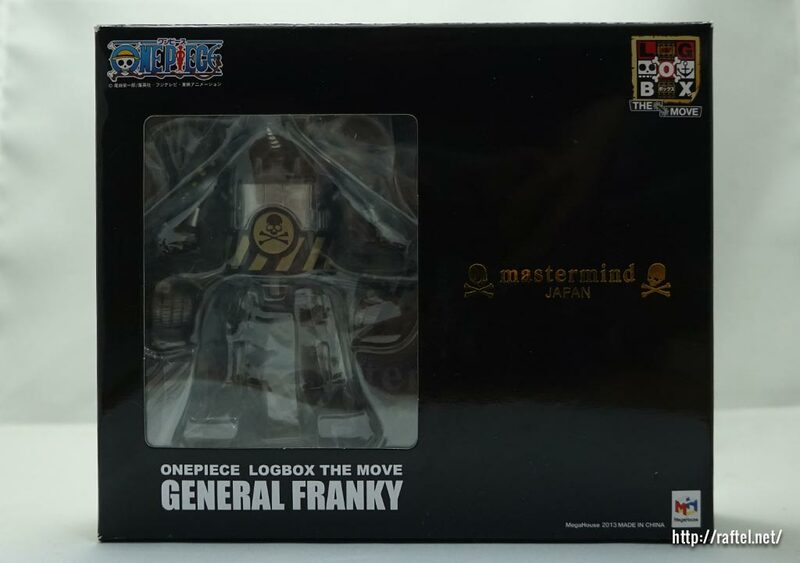 Only 1500 of these were sold. 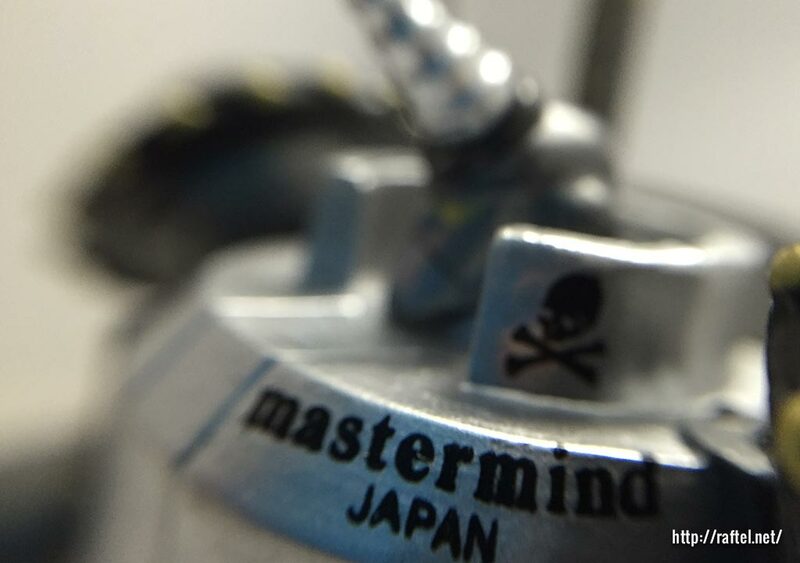 The fully metallic color with the mastermind Japan skull logo is very cool! 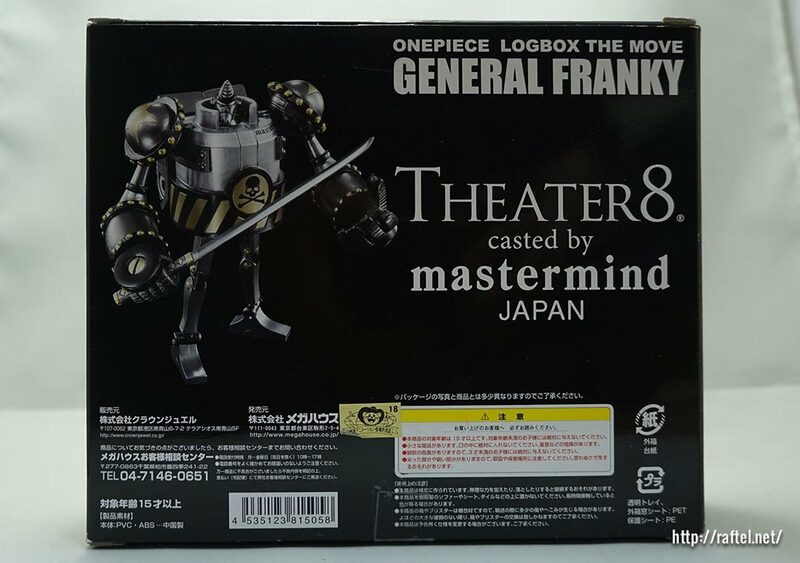 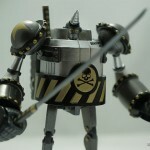 The set includes: General Franky main figure, 3x interchangeable hand parts (2x right & 1x left), Katana sword, sword handle, rear caterpillar treads (1x left & 1x right). 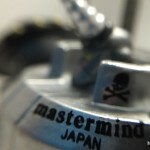 LOGBOX THE MOVE フランキー将軍 mastermind JAPAN 別注ver.